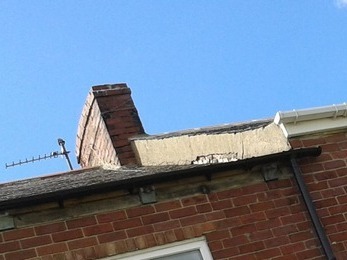 The house is a two storey mid terrace and I have noticed that, on the front side, there is a gap of about 3 ft in the pointing which joins the stepped ridge to the neighboring property. This has obviously just came away over time and will let in rain when its blown at a certain angle. I simply want the area to be made good to prevent any water getting in. I would consider this quite a small job to be done at a time convenient to workman. It obviously does not require any access to property and just want area secured before we get into winter. Very good job. Reasonable prices and prompt service.